V4 Woodflooring will once again be exhibiting at the prestigious Ecobuild show. The show is held annually and showcases the latest and greatest in environmentally friendly and sustainable products in design, construction and the built environment. 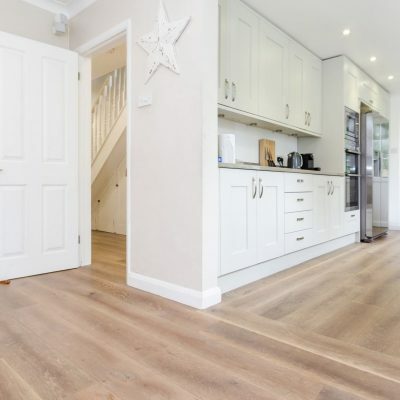 At V4 Woodflooring we are dedicated to the design and manufacture of hardwood flooring solutions that are environmentally friendly and manufactured using materials from sustainable sources. This has resulted in our products being awarded both the FSC and the PEFA certifications. Due to our ongoing commitment to eco-friendly solutions, it is an honour to once again be part of an event that matches our ethics. The three day event will be held from Tuesday 4th until Thursday 6th March 2014. During the event visitors will be able to attend seminars from globally leading authorities in topics ranging from Green Energy Solutions to discussions about reinventing British town centres. The prestigious 2014 BREEAM Awards will be hosted on the event’s opening day. These Awards are held each year and celebrate the previous year’s highest scoring building assessments. BREEAM use the world’s leading design and assessment method for the construction and implementation of sustainable building solutions. Due to this the Awards aim to recognise the achievements of individuals and companies who have performed exceptionally in the specification, design and construction of buildings according to BREEAM’s stringent assessment procedure. Individuals who have never attended Ecobuild can view an explanatory video by clicking here. Due to the popularity of the conference arena at last year’s event, Ecobuild 2014 will feature a second conference arena. Throughout the event both of these arenas will provide visitors with access to cutting edge debates and discussions, surrounding the future of environmentally sustainable solutions. A number of “working” showcases will feature at the event, including “Practical Installer”, “Solar City” and “The Wellbeing and the Future of Work Experiment”. After a successful link up with Concreate® at last years show V4 will be continuing the partnership to showcase the latest in quality, responsibly sourced hardwood flooring. Concreate the makers of the world’s first engineered tongue and grooved concrete floor panels, will be unveiling their latest addition to the range in the form of Concreate Wall Panels which are an even more lightweight version of the amazing floor panels that can be installed on walls, and ceilings to create architectural features in any modern design. Find out more at concreateflooring.co.uk. The V4 team can’t wait to meet the crowds of architects, interior designers and eco-house builders and find out more about the amazing projects planned for the this year. We are also looking forward to unveiling a new addition to the V4 Collection with the Urban Nature range of 15 mm multi-ply floors, all FSC® 100% certified. Inspired by urban landscapes reclaimed by the natural environment, the Urban Nature range comprises of 6 new colours designed to compliment the designers pallet. At just 15 mm thick the hand finished surfaces are backed on precision machine milled multi – ply making them ideal for low energy underfloor heating installations. V4 Woodflooring is looking forward to exhibiting at one of the world’s largest environmentally motivated trade shows. The 2013 Ecobuild event attracted a total of 43,542 professionals from 121 different countries. If you would like to attend the show please email the team@v4woodflooring.co.uk and we will be happy to send you a Free ticket voucher with details on how to register. Make sure you come and say hello at stand S450, see you there! For more information about the Ecobuild 2014 show please click here.